There is something about a good brisket or roast that’s comforting. 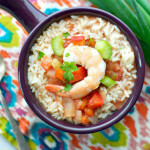 Who doesn’t love a delicious, hearty meal that brings the family together? 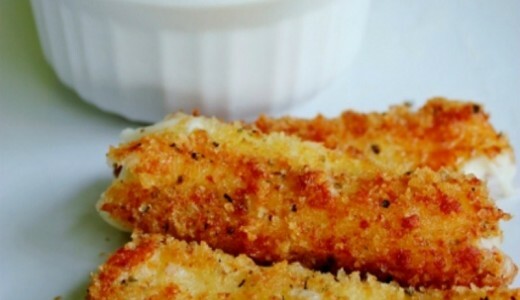 Not only are they easy to prepare, but they’re great for Sunday dinners. What makes them even easier is preparing them in your slow cooker. Just throw all of the ingredients into the pot and let the dish cook all day. While your brisket or roast is cooking in your slow cooker, you can spend time with your family and friends. 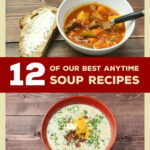 At AllFreeSlowCookerRecipes.com, we have tons of great recipes for slow cooker briskets, slow cooker pot roasts, and slow cooker pork roasts. 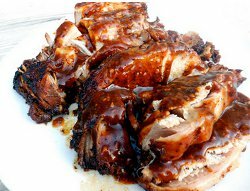 We even have a collection, Slow Cooker Pork Roast: 11 Tasty Pork Roast Recipes, dedicated to pork roasts! Each dish is packed with flavor that’s guaranteed to spice up your Sunday dinner routine. 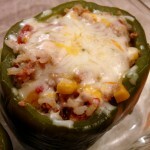 Our recipes are great for experimenting with classic slow cooker briskets and slow cooker roasts. Below you’ll find some of our favorite slow cooker brisket recipes and slow cooker roast recipes that will become staples in your household. There’s a recipe for everyone on this list. Gather your family together and let’s get cooking! What makes this recipe for BBQ Bacon Brisket yummy is root beer. It’s the secret ingredient that keeps the beef moist and gives it a whole new flavor. 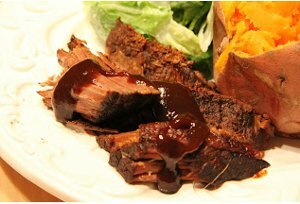 This slow cooker brisket recipe is also made with BBQ sauce, beef stock, and vegetable oil. 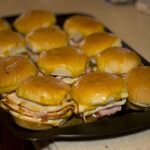 Plus, it’s layered with bacon, which makes it meaty and smoky. Serve it up with extra sauce and your favorite side. 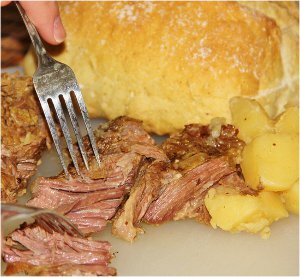 This recipe for Not Your Mama’s Pot Roast is made with tri-tips, garlic, steak seasoning, potatoes, and onions. Cayenne pepper gives it an added kick. To make this slow cooker pot roast heartier, add other vegetables such as carrots. 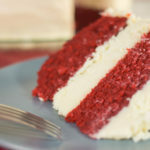 It’s easy to make, and super tasty. It has more of a beefy flavor that enhances the traditional roast taste. This recipe for Parmesan Honey Pork Roast is a sweet take on the classic dish. 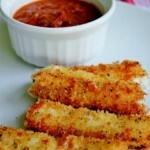 It’s made with garlic, honey, soy sauce, basil, and Parmesan cheese. The pork comes out nice and tender with a fantastic flavor. Pair your slow cooker pork roast with mashed potatoes for a meal that you’ll love. 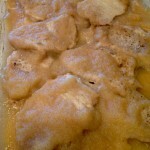 Don’t forget to check out Slow Cooker Pork Roast: 11 Tasty Pork Roast Recipes and visit AllFreeSlowCookerRecipes.com for more brisket ideas. What’s your favorite roast recipe?